From 2000 to 2005 I worked with colours that were allmost white, and I tried to minimize the contrasts as much as possible. The textiles are hand woven in linen. Because of the lack of contrasts combined with very pale colours, I do not have any good documentation of these works. 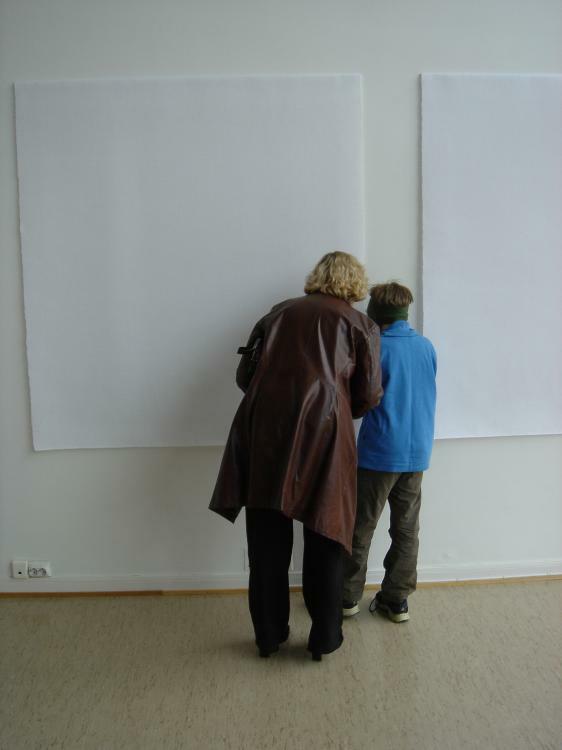 I had 2 solos exhibitions with these works; RAM galleri in 2004 and TrÃ¸ndelag senter for samtidskunst in 2005.